Another great article from the Horseracing Pro. Foreword by Bob. Here's another of Spy's inimitable views. When you read it take some of his modesty with a pinch of salt! He actually does very well with his betting and racing has provided him with a living for some 20 years now! But I absolutely agree with his fundamental point. One man on his own just hasn't the time or the ability to go through all the racing, form lines, videos and sift views from a stable of contacts in 24 hours. You need help. Help from experts. Expert form advice, expert race readers, and expert contacts. ◦ ... of form experts, race experts and contacts whose opinion you trust implicitly. This does NOT mean you will always be right no matter how good the team is. Apart from the normal good luck/bad luck in racing from time to time team members will fall for "put-aways" and be put away by connections, just like anyone else. It's part of the game. 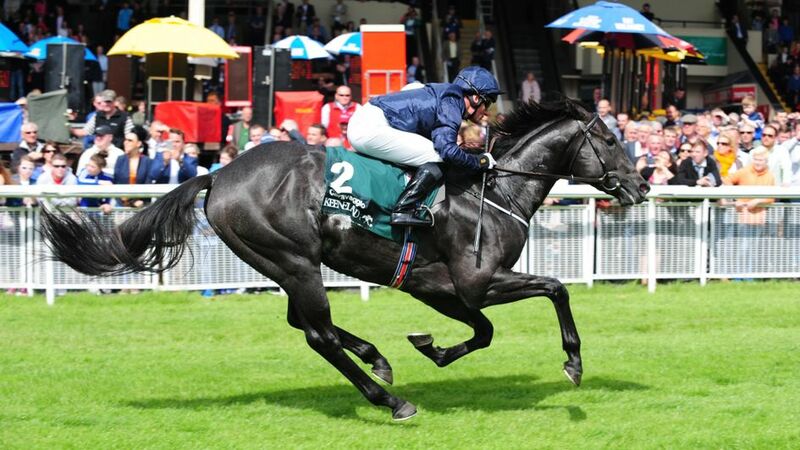 But a good team will identify more fancied horses and spot more "moody" put away plays than most do. ◦ It will also be very expensive because your overheads will be enormous and the only income is generated by betting. The more successful you're betting the harder it will be to get bets on (in your own name) It's a wonderful "Catch 22" and yet we all love the buzz of this business so much we are hooked for life! ◦ ... Find a Professional Punter or group of Professional Gamblers and bet alongside them. You wouldn't ask a road sweeper to perform brain surgery so surely it's smart to take advice from someone who already has proven he can win and not someone who just claims he can. ◦The best way is to place bets on them but you will need an enormous float if you do and you must be VERY sure you are dealing with a Genuine Professional Punter who really can't get bets on or you could be ripped off - too many con artists use this sort of story as a scam. To handle a Professional's business you will probably need to be able to guarantee getting bets of £1,000-£5,000 on at a time, secure prices and be on call 24/7 as well as the ability to move large sums of money in seconds. If you've ever bet live horses you will know how hard that can be! 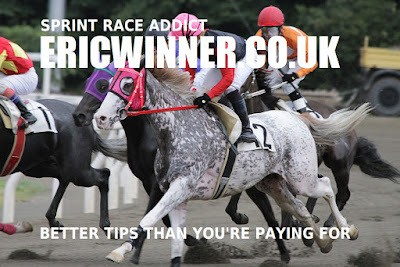 I have many clients who have already had their accounts limted for betting "live" horses in hundreds let alone thousands! 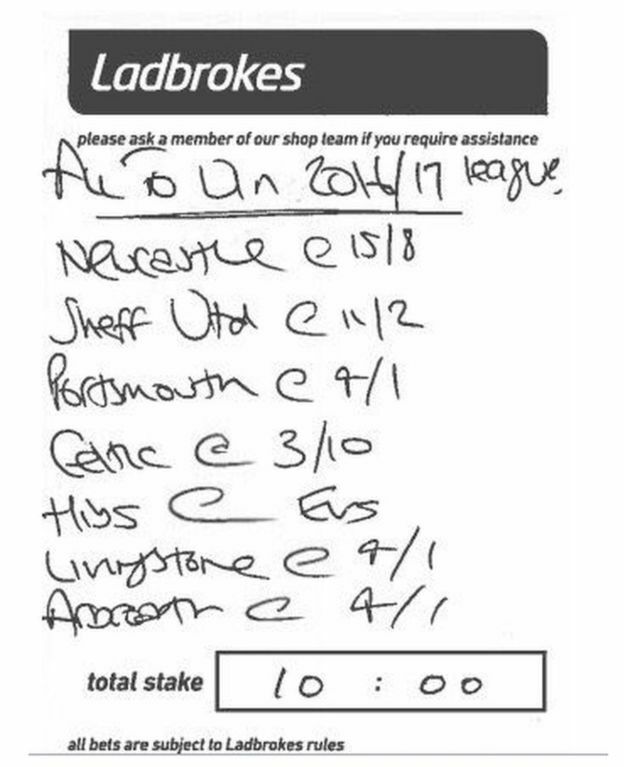 ◦PS If you can get £1,000's on, can secure the odds and will guarantee to pay me when I win then please email me right away! ◦ ... and share the burden of expenses or getting money on. This is the method I offer as it makes it possible for a part time Trader to enjoy access to genuine information without a huge financial committement. Told he could continue for the next round, the boxer then had to listen to all the advice from his corner. ‘If you’re so god-damned clever, you get in there and finish it off for me!’ he replied before the clang of the bell. Boxing is a tough game – it is a tough as they come. It requires a team of experts to groom the boxer to give his best in the ring. And the paradox is that, as with sportsmen of all types and performers in general, those dispensing said advice are theorists as opposed to operators. That is to say - they tell those that can do what they cannot - how to do it! That is the job of a coach and is no reflection on either party. The same applies to horseracing and betting where there is no shortage of advice proffered to would-be professional punters. Not all the theory in the universe will make you into something you are not. If you are not cut out to be a professional punter, it is important you cotton on to such a fact sooner rather than a few grand later. We have looked at some of the finer points of punting for a living but one of the most important components in this business is your make-up or personality. For the purposes of the point I wish to make, I will take myself as the role model for this article. I will analyse my qualities and lack of – warts and all. First, my strong points: I am pretty good at dissected races and quick to jump on a betting opportunity, which often means I can identify a race that presents a distinct advantage. This is where you doubt the credentials of a leading player for whatever reason and feel it is ripe to be opposed. Often I find that, for all the time one can invest, the true good thing jumps out of the paper even before you have waded through the business of deciding whether the formbook suggests it can win. This is something of a contradiction to many of the other scraps of formulae I have passed on. I keep hammering several points home; one of them being there is no actual blueprint for this business. Like the bout of boxing, such a movable feast requires constant adjustment so those who succeed have to think on their feet. Therefore, technically I know what I am doing. Now to the part that cannot be quantified – the ability to transfer theory into practice. In the case of being a professional punter that is the bit that involves actual betting – the decision as to whether to bet or not and how much to stake. Here, we are talking my weakness. Most successful punters I know have at least one grey area. They identify it and use others to plug up the gap or gaps. Surprisingly, most successful punters know little about actual form, less about horses. But they are good at betting. They are the equivalent of the city traders who can be fearless. Their sixth sense does not come in evaluation of cards and races but in knowing when to lay down their cash. People who are good at winner-spotting would also make good detectives as there is a fair degree of sifting of facts required. They achieve much of the work on instinct and intuition. Successful backers take all the advice on offer, have a knack of deciphering the difference between a message or opinion that reflects hope as opposed to confidence, and act accordingly. And when they bet, they bet. They pull up serious money and make it count. One of my biggest weaknesses is timidity. 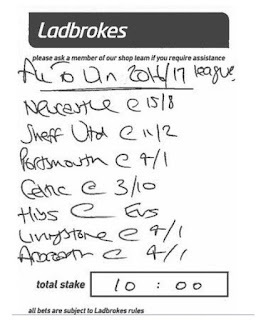 I have to admit I am not a fearless punter. I keep my head above the roaring ocean waves without going under but am never on the prow of the ship. And I like to make my mind up on the day’s proceedings in advance, hating to be at the whim of messages that may trickle through during course of a day, particularly in races in which I have no view. I do my work either the day or night before, finish it in the morning and that is it as far as I am concerned! This is a failing but one I cannot address. I am not intolerably opinionated, but I dislike putting myself in the hands of others. I will always listen, in some cases bet solely on messages – some of which are top class – but I dislike striking a bet that has not been properly thought out – at least by me. That is my approach and it means I miss backing plenty of winners. Subconsciously, I feel I have done the work on the day and that there should be no need for further reference to the formbook. Instantly unfathomable messages are largely ignored. I repeat – this is a failing. My best course of action would be to employ someone to listen to what I say, to my evaluation of races and then who, in a dispassionate manner, places the wagers. There would surely be no shortage of applicants for such a position; but I am equally sure such a relationship would not work. The reason is I like to maintain control and am reluctant to delegate when it comes to money. Therefore, as a result, my business suffers, as it would be far more effective if I worked in tandem with someone else. However, importantly, I know and recognise this weakness and work round it. Personally, I will never be a Bob Rothman, Harry Findlay, or a Patrick Veitch. That is not solely because they are richer than I am, but that they have the temperament to take enormous risks when the time is right. They will increase stakes when winning, whereas I tend to protect profit and throttle back, playing it safe. That means I jog along, not getting into too much trouble but not roaring round London in a Ferrari either. If you are tempted to try this business, then it is important you give yourself a reality check. Even if you fail to become a big-hitter in the ring, it should prove beneficial. Eventually, betting on anything – be it cards, roulette, horses or football – will expose your weaknesses from which there is no hiding place. Kid yourself you are right when all around can see you are not and you will pay the price. Punting does not allow a margin for error. But consistency can make up for deficiencies. I am not advocating being consistently wrong, but so long your actions are consistent, to a degree you can work round your shortcomings. Being a professional punter is akin to being a professional in anything. You are effectively in the same position as writers, actors and sportsmen. There is no one paying your National Insurance stamp, no one shelling out sick and holiday pay, no guarantee that you will be insured by the trappings those conventionally employed enjoy. As I said at the beginning, some are better doing the fighting others saying how it should be done. So long as the mixture is correct, it can work. The problem comes when the fighters are doing the directing and the corner men the fighting!